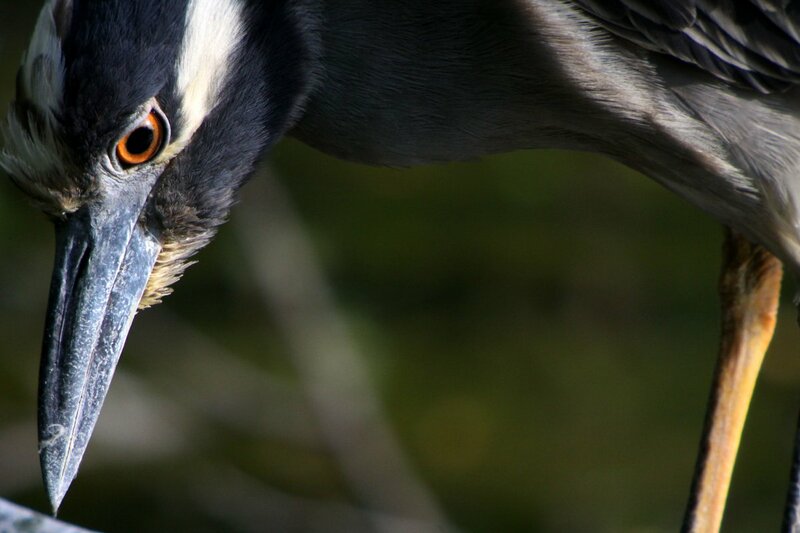 Yellow-crowned Night Herons have a presence about them when they are hunting that reminds me of Buddhist monks. If “The greatest prayer is patience,” as the Buddha is alleged to have said, then the comparison is perhaps apt, as nothing embodies patience more than Nyctanassa violacea. 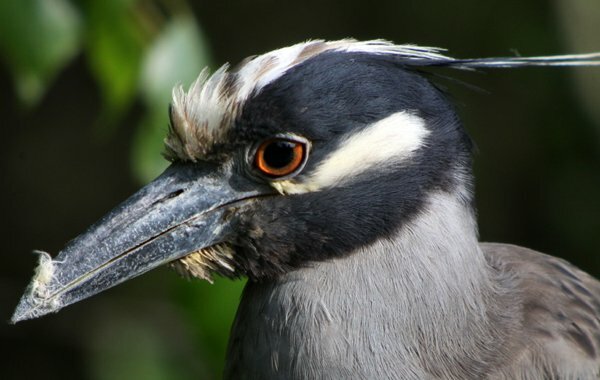 I spent forty-five minutes in the company of the Yellow-crowned Night Heron in this post and it spent that time alternating between hunting and preening but it never even made an attempt to catch something. 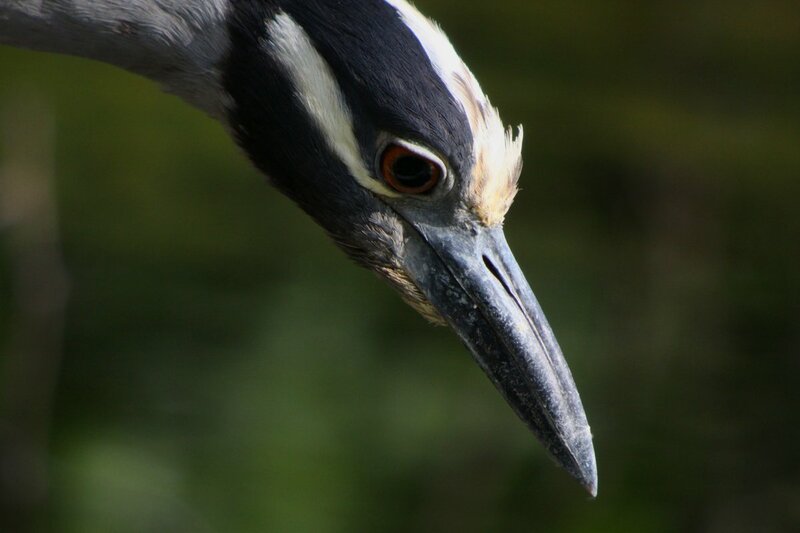 Spending that long looking for food without even being able to make an attempt to catch breakfast would drive me batty but the heron sure seemed to take it in stride. Perhaps it is anthropomorphising to ascribe patience to a bird but if ever a bird should be anthropomorphised in such a way it was this one. Patience was a quality I did not need in my encounter with this Yellow-crowned Night Heron as upon my entry to the blind at Jamaica Bay Wildlife Refuge’s Big John’s Pond the heron was up close and personal, hunting from the bare branches that overhang the pond directly in front of the blind. It was a pleasure to take shot after shot of the bird as it went about being a bird, completely unconcerned by my presence a scant few meters away from it as you can see in the image below this paragraph. 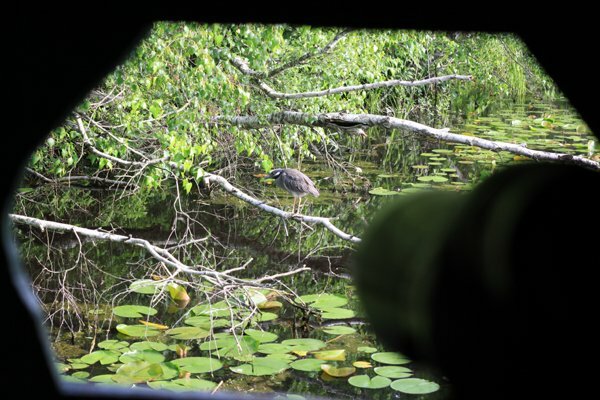 Eventually I walked away from the heron, leaving it hunting still. For all I know it is still trying to catch itself a meal but if it were I have no doubt that it would be stoic about its failures and willing to stay as long as it took. 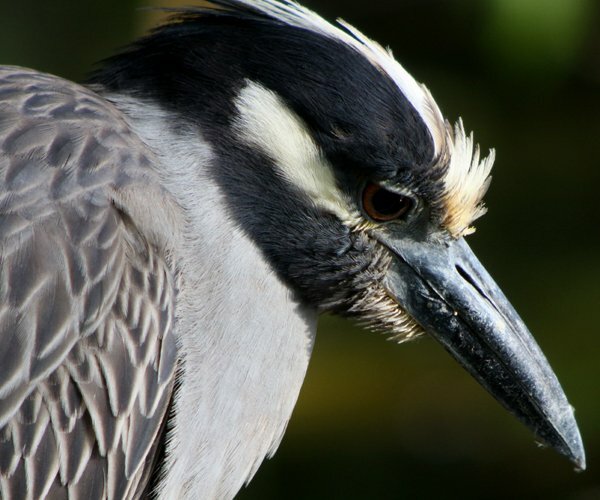 The Yellow-crowned Night Heron is a bird of the Americas, ranging from South America to Canada. 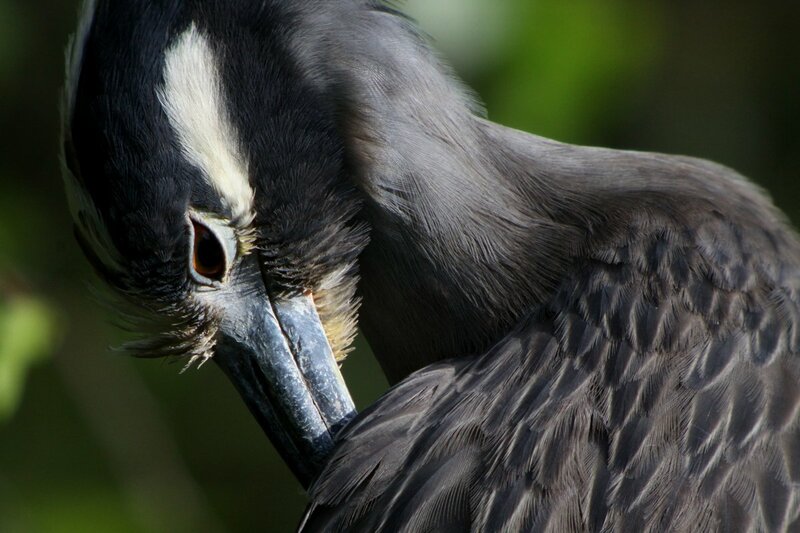 It is a Species of Least Concern according to BirdLife International because of its large range and population. 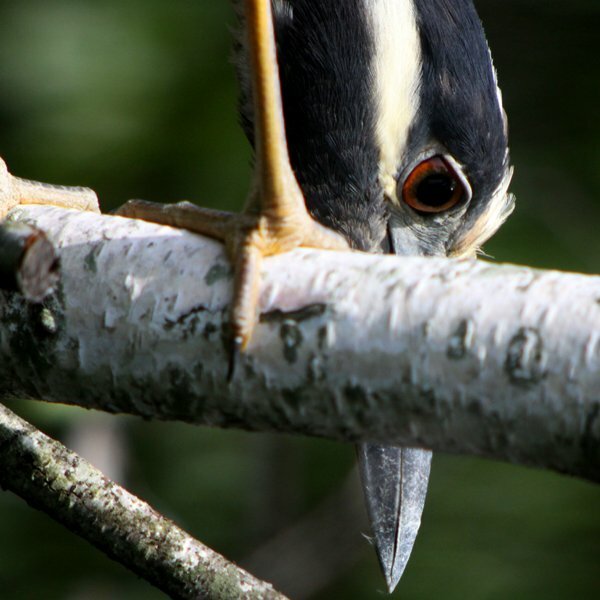 The northern populations migrate south in cold weather while in warmer climes there are sedentary populations. 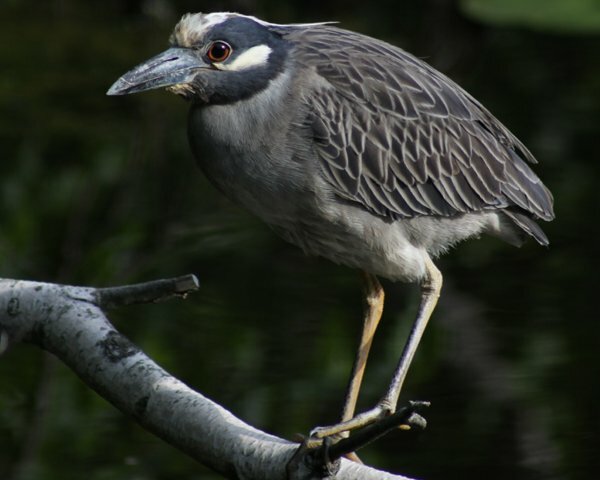 Despite their large range and population seeing a Yellow-crowned Night Heron well is a treat and the opportunity to digiscope one at close range at a leisurely pace was a pleasure! Have you never stood in a queue in Starbucks waiting for a cafetiere to bariste? Now that is patience. @Simon: So we are all Buddhas? @Jochen: I was wondering how long it would take you to show up here in the comments. 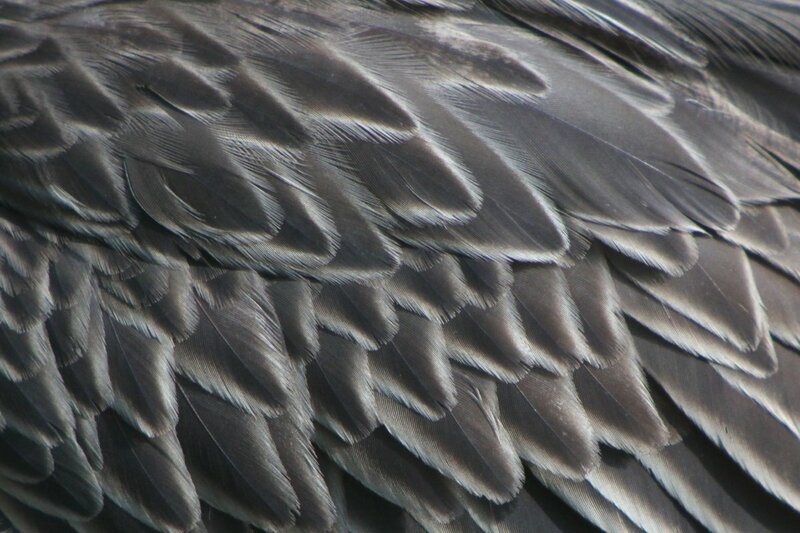 Isn’t it a gorgeous bird? Yes, Corey, I must admit that your photoshop job is extremely well executed this time: it is really difficult to tell that the original bird species that you took as a blue print for this hoax was a Swainson’s Thrush from Central Park this spring.